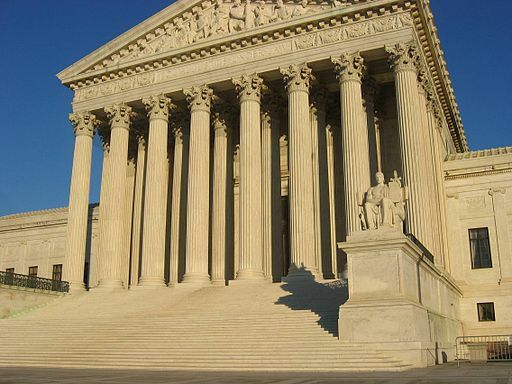 In a 5-4 decision this morning, the U.S. Supreme Court ruled that family-owned companies cannot be required to provide insurance coverage for certain contraception methods. Justices ruled in favor of two corporations, Hobby Lobby and Conestoga Wood Specialties, that argued that the Affordable Care Act’s requirements that they pay for contraception methods that they deem tantamount to abortion were a violation of their religious freedom. Both companies are owned by Christian families. How are you connected to the Green family (founders of Hobby Lobby)? I married the oldest daughter of [company resident] Steve Green/oldest granddaughter of David Green [founder & CEO]. I serve as the director of faith initiatives, and as the pastoral relations coordinator for the Museum of the Bible. For those not aware of Hobby Lobby’s beginning, how would you describe it? Humble. Grandpa [David Green] did not come from a wealthy family. In high school he grew to love working at the local five and dime. He rented a few hundred square feet to sell little frames that were becoming popular with a $600 loan to begin his own store. Hobby Lobby was soon born and has grown today to over 600 stores all across the country. Hobby Lobby has seen economic growth as a business, but in what ways has your family’s faith in God impacted the business? The faith of the family plays into every decision. I remember the first executive meeting I got to sit in on and Grandpa saying we can’t make decisions based solely on what’s best for business but what’s best for the people we’re entrusted with. He was speaking of both customers and employees alike. What is your family’s hope for the store in the coming years? Make as much money as possible to give away as much money as possible. We want to care for people above all. Impacting lives is the bottom line. What practical advice do you have for Christian business owners/leaders that are struggling to incorporate faith in the business place? Give God your best, and then rest. It is God who provides the success when we do our part. If we had made all the same decisions and HL never got past one store, God would not be less honored in our work then he is today. It’s about being faithful with what’s been given to you. History will be re-written and we will not be the heroes. We shouldn’t be seen as that today. How can we pray for Hobby Lobby? For your family? “His Kingdom come, His will be done” and “Lead us not into temptation, but deliver us from evil.” May we be following God and not tempted to think we are responsible for our success. Likewise, whatever happens in the future, if it would bring God glory may it be done regardless of how it impacts Hobby Lobby. This entry was posted in Culture, Faith, World events and tagged conscience, Constitution, culture, Hobby Lobby, legal, Supreme Court. Bookmark the permalink.